Right ascension: 22h 37m 18s Declination: +34° 26' 48"
200mm F5 newtonian @F3.3 , SC1.5 toucam RAW mode. IRB filter. 70x40s frames debayered and stacked in a testing copy of Registax v3. Curves and colour balanced in photoshop. 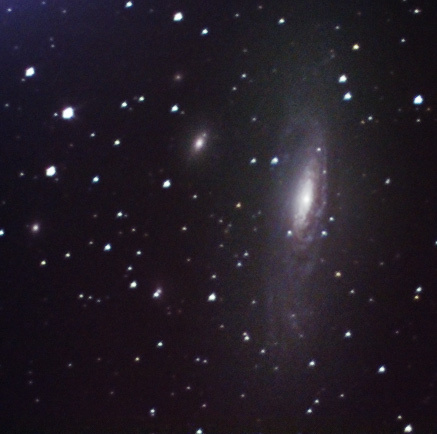 L layer for galaxy core taken from previous image at 1000mm.